Browsing articles from "September, 2013"
Carol’s guest today is Chris Hemingway – Descendent of the famed author Ernest Hemingway! 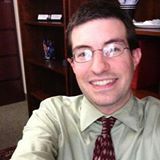 My guest poet today is Chris Hemingway a librarian and freelance writer. As an avid traveler and descendant of the famed author Ernest Hemingway, his works have appeared in many magazines and journals worldwide. Chris resides in Connecticut, USA. 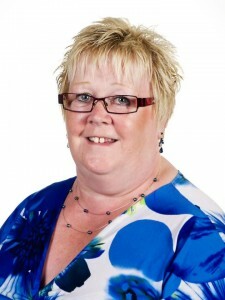 Shelagh Brennand – My History! Author of ‘A Stroke? 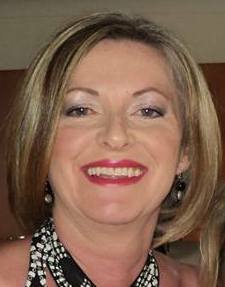 Not me – I’m only 49! So, here I go, in true verse form, are you sitting comfortably? Thanks for reading my poems and have a lovely today. 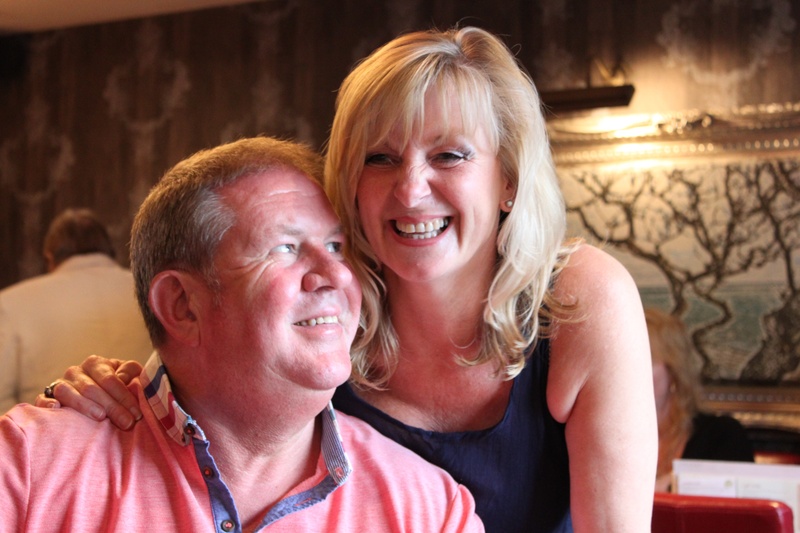 Former detective Bob Bridgestock & his police civilian wife Carol have a new crime-fighting role! West Yorkshire Crime Writers RC Bridgestock land Scott & Bailey TV role! A former detective and his police civilian wife have a new crime-fighting role. Bob & Carol Bridgestock – who became successful novelists after their combined 47-year police career – have been appointed as a consultants for the hit ITV crime series Scott and Bailey. The couple will work as consultant storyline/police procedure behind the scenes on the fourth series of the show. Scott and Bailey stars Amelia Bullmore, Suranne Jones and Lesley Sharp are police officers Gill Murray, Rachel Bailey and Janet Scott, three members of Manchester’s Major Incident Team. The show’s third run drew to a close on May 23, pulling in a final audience of 7.1 million viewers. Bob, who handled dozens of murder inquiries for West Yorkshire Police and his wife Carol are the Island couple behind the crime novels featuring Det Insp Jack Dylan, set in the fictional Yorkshire town of Harrowfield. Darren Laws from Caffeine Nights, the Bridgestocks’ UK Publisher, said: ”This follows on from the rights sale into South Korea & Turkey and marks a fantastic year for Bob and Carol Bridgestock. Due to the success of the writing competitions the couple run on the Island they are also launching a story-writing competition for children in their home town in Calderdale, tied in with their November book launch of their latest novel ‘Snow Kills’. Entry is free but donations can be made to the Forget Me Not Children’s Hospice. Youngsters from the Brighouse and Halifax area will be asked to come up with stories on the theme “Snow Time”. The couple will be at the Isle of Wight Literary Festival as ‘Dragon’s’ in the Dragon’s Den. A press release will be given soon. A stroke – not me – I‘m only 49! How was I to know a little gardening would cause us all such strife. 49 and fit as a lop and I’d even lost some weight. We weeded, seeded, trimmed and chopped, until it was all done. So that left me in the garden, lawn mowing on my own. So I went inside to have a rest, perhaps a meal to make. My head into the toilet, I thought would sort it in a jiffy. When I awoke I saw my son and didn’t feel too well. I could not move a muscle, from that cold, tiled bathroom floor. My right leg couldn’t move at all, my right side had gone numb. Such calm, then panic looking at me, slumped there in disarray. The next things I remember were those marvellous Ambulance crew. In three months time I was going to be only half a century. I wasn’t going to be a stroke victim, on that lovely sunny day. I felt scared and helpless, so confused, but that crew, they got me through. Could this be really happening to me, a 49 year old lush? Those Doctors they worked tirelessly, I could never be one of them. A clot had caused this sorry mess and soon I would be fit. I did feel quite a lucky girl despite the hullabaloo. Though fatigue still hurts both in my head and in my body too. Since I’ve been well I seem to have my brain so full of odes. Quite often, I just cannot sleep and get out of my bed. She said the brain does wondrous things, so don’t fight them, celebrate. A husband, sister close at hand and of course my loving son. Who knows what lies ahead for us, life is a mystery. Just be aware of your own limits, or it can happen to you. One Wren’s War: Margaret Munday-Whitaker’s Life During the Second World War on the Isle of Wight! In 1942 I married my sweetheart, Leonard Munday whom I had known since I was 17. We met on Culver Down as we were both dog walking. He was in Coastal Defence, a gunner in the Royal Artillery. We had also met whilst cycling along the sea wall at Seaview. He was very shy and his friend introduced him to me. He was a very keen musician and played the saxophone and the clarinet and I had seen him playing with other musicians at one of the Vicarage garden parties. We enjoyed talking to each other and then started to go out together, sometimes to the Commodore cinema in Ryde or to the organised dances. The Services tried hard to give us all some leisure activities which certainly took our minds off the bombings which were constantly taking place. We had got engaged in 1941. My fiancé had bought me a diamond engagement ring. Sadly three weeks later whilst gardening at granny’s house in Seaview, I lost my beautiful ring. My lovely fiancé bought me a new ring, this time a twist design, with even more diamonds! The original was never found and later on the earth was concreted over so my ring remains buried forever. After that, I always put it in my pocket for safety, most especially when I was gardening. I wanted to have a proper reception for the guests at my wedding and asked the local baker in Seaview, “Would you be able to do a nice reception for me? I know that rationing might make it difficult but what are the possibilities?” He said, “As you are getting married in June I could do you a nice salad as we can grow that. We can also have home grown potatoes and have half a pound of cheese, your ration allowance for one week.” All this had to stretch to 33 guests and surprisingly it did! The wedding breakfast cost 3 shillings and 6 pence per head. My mother and father had to apply for travel permits to come to the Island for the wedding. They travelled by paddle steamer and had to go back to Southampton on the one designated to them by the authorities. Due to very stringent rationing during the war we were unable to use sugar to make icing for the wedding cake and the baker had to be very innovative. He made marzipan with a type of semolina to get a nice white colouring which looked as close to icing as he could get. He then added some almond essence, covered the outside with rice paper carefully and in the joins of the rice paper added layers of artificial flowers. It was very difficult to get hold of any dried fruit for the cake mix but as usual everyone rallied round and one Wren was able to offer one half pound of prunes. The baker cut them up very carefully and made them into currant shapes and together with another Wren’s offering of a quarter pound of raisins a very nice and tasty wedding cake was made. He then put the pink artificial roses around the cake and it looked very beautiful. I wore a pink wedding dress, which had been a dress I had worn as a bridesmaid, and had a borrowed veil. I was unable to get a white dress due to strict rationing. Make do and mend was very much the order of the day during the war but it made us very innovative and we found new and different ways to do things. We were not really, at least most of the time, unhappy with our lot. We had a very important job to do and we did it to the best of our ability. Many did it by sacrificing their lives for others. I was married in the Methodist Church in Seaview and after the lovely service I came out of the church with my husband, Leonard. He was 28 years old. There was a guard of honour by my fellow Wrens. In the photograph, as I was coming out of the church and through my arch of Wrens, there laid carefully in the corner was my gas mask. It still makes me laugh today to think about it but as Service personnel we had to wear special gas masks that were rather more complicated than the ordinary issue. We had to be able to walk around whilst wearing it and keep on going and do whatever needed to be done during an air raid. It was a vital part of our duties. There is a lovely, funny photograph of myself and my fellow Wrens on a gas training course in Portsmouth. We were there to learn how to use our masks properly. In one of the photographs we are all posed, in naval uniform and with our faces completely covered with the gas masks. It was not a glamorous look, indeed we looked like something out of a science fiction story. The training itself was quite frightening. We had to go through the Tipnor Gas Tank, remove our gas masks and rush quickly to the exit. The smell was awful and we emerged with streaming eyes and lots of coughing and spluttering. The thought of being in a gas attack was very frightening and it brought home the reality of how dangerous and unpleasant that would be. Leonard, my lovely husband and I honeymooned in the New Forest. We only had two days there before he received a telegram informing him that his father had died. Sadly, our honeymoon was over early. Everyone travelling to and from the Isle of Wight had to have a special permit during the war so travel backwards and forwards to the mainland was very difficult. As the Island was considered a very strategic and important spot it had to be protected from German invasion. The permit had to state how much time you were spending there and the reasons for your visit. It was very strictly adhered to and of course we all understood why. The proximity to Portsmouth where so many Naval ships were moored made it imperative that the Island did not have infiltrators sympathetic to the German war effort. The ships themselves were an obvious target for the Luftwaffe. The restrictions were also applied to near relatives of Island dwellers as I have already mentioned. The permit itself was very difficult to obtain and there had to be very good reasons for the trip. The local newspaper, the Isle of Wight County Press, at the time described it as a ‘Necessary but most inconvenient isolation’ The County Press is still the Island’s newspaper and is as informative today as it was during those war years. Some things don’t change, fortunately. Although travel on and off the Island was diffi cult we did manage to do so on occasions. As my family lived on the mainland I was granted permission to travel to Fair Oak in Eastleigh where they lived. My father had been the Chief Engineer on private yachts before the war. Perhaps that is why I so wanted to join the Wrens and follow in my father’s footsteps. On one occasion I had visited my parents in Eastleigh. It was Double Summertime, two hours forward instead of one from Greenwich Mean Time (GMT). This was, of course, to save electricity and keep industry and farming working as efficiently as possible. I would normally have left my parents at 3 o’clock in the afternoon but father had suggested I stay longer as it was now much lighter into the evening. I was happy to have a few more hours with my family as I did not get to see them that often. When I eventually got to Portsmouth Harbour the train I should have been on had been completely destroyed. It had been bombed by the Germans. Travelling later had saved my life, yet another escape from either death or very nasty injuries. As I mentioned earlier people formed all kinds of friendships during the war and some were in very strange circumstances indeed. It was a common occurrence, at that time, for the Germans to drop propaganda leaflets in order to undermine the war effort and to make people feel that we were losing the war and would eventually be ruled by them. My sister, Patricia had such a leaflet, which had fallen in the back garden from one of these air drops. She was looking at it as she sat down on the bus to travel home one day. The leaflet had been found near Winchester. She had sat next to a distressed woman who had not heard from her son in a very long time. As they both looked at the pictures on the leaflet the woman suddenly cried, “That’s my son there.” It later turned out that he was a prisoner of war in Germany and at the end of the war he came home safely. This was a most amazing coincidence and an outcome that the Germans had not intended, to comfort someone who believed she had lost her beloved son. It was not the only coincidence of it’s kind. A photograph of a gravestone in a Commonwealth War Cemetery had been taken by a visitor to the graveyard. The gravestone belonged to a young man, only 18, who had been killed in the Normandy landings in 1944. He came from Bembridge on the Isle of Wight and had served with the Hampshire Regiment. By chance the photograph was shown to a friend of the family and eventually the family were shown the picture. Later his two brothers visited the grave. They had never known previously what had happened to him. 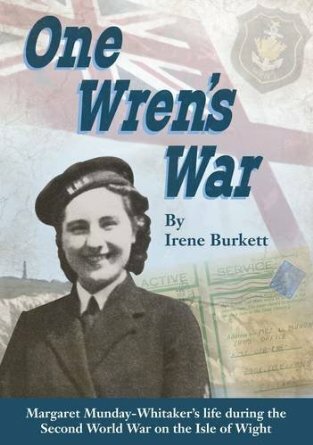 You can purchase One Wren’s War by Irene Burkett @ http://www.amazon.co.uk/One-Wrens-War-Margaret-Munday-Whitakers/dp/0957454007 or any good book shop. 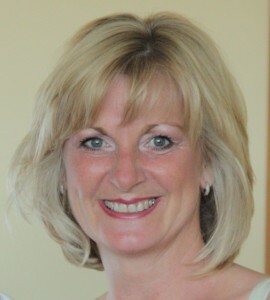 Revamp Your Wardrobe ‘Life Happens’ By Life Coach Maggie Currie! Change how you feel about yourself with the practical task of revamping your wardrobe. By getting rid of any unflattering clothes, the way is cleared for a new, improved you. A careful reassessment of what you wear is a truly transforming experience. Follow these guidelines, and you could change your life. By ridding yourself of the unwearable rubbish, paradoxically you will find you have more of everything. More time – you’ll get dressed so much quicker! First of all, take every single thing out of your wardrobe. Make sure the whole thing is empty. Put everything on the floor or bed. You need to clear the decks. Doesn’t fit and never will. Take a step back and have a really good look at what is left. What are your clothes REALLY saying about you? Do you like what you hear? Is there anything not reflecting your true personality? If there is, put it on the reject pile. You are bound to be left with a number of garments you still have doubts about. Try these on, and take a long look in the mirror. If you saw someone else wearing it, would you compliment her? Ask yourself, is the garment really worthy of being worn by you? If the answer is no, reject it. Be ruthless. From now on, only choose to wear clothes that reflect you at your best. Let’s just stop here and evaluate your cast off pile. How does it feel to be getting rid of this stuff? Take this opportunity to take stock of your appearance, your self-image, and your life. Do not choose to hold on to old clothes you no longer have use for? They are taking up precious space you could be using to expand into your new, beautiful self. If you need to keep a memory, find something more appropriate: a photo, a piece of jewellery or a letter. Resolve now to live in the present. Let go of these clothes and make room for your new life. There may be items you have bought but have never worn, and maybe you feel guilty about these. You won’t change that situation by hanging on to them, but just sustain it. Stop beating yourself up with the constant reminder every time you open the wardrobe. Do some good and take them to the charity shop. Maybe you have lost some weight, but are still hanging on to your “fat clothes.” Reject these now, and let go of the temptation to slip back into your old habits. If you do put weight back on, the clothes will probably be out of style, anyway. Bag up your rejects right now and take them away. No regrets. Look to the future! Go and buy a few items that reflect the new you and you feel comfortable in. Add to these as and when you can afford to.